It is not every day that we encounter paint chips. Most times we have no need for them. However, given the prevalence and accessibility of paint sample chips (they are, after all, free), it is all too easy to over accumulate them during the times we do need them. So, much like complimentary sugar packets they pile up and are either tossed out or stuffed away to be forgotten. One may simply think to recycle them. While this seems easy enough, and is certainly a commendable idea, it isn’t that simple. This is due to glossy sheen on some paint samples. It tends to appear more attractive and does heighten the paint color’s appeal,but it is often the result of plastic coatings. Though some items coated in plastic finish can be recycled, like paperboard cartons, it is more difficult than recycling standard cardboard. 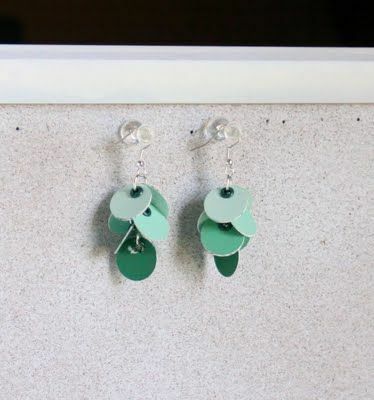 So, instead of stuffing them in the recycle bin, you could first use them in crafty applications, for decoration purposes or to assist as personal organizers, as with the calendar above. 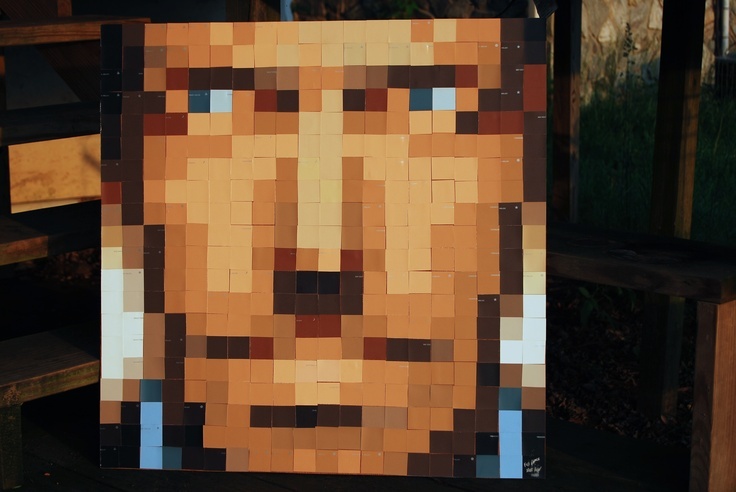 Here paint chips were tactfully arranged to create a pixel-ized portrait, portraying the very familiar Hugh Laurie, who portrayed the equally familiar Dr. House. For those starting out in artistic endeavors, the above are other bits of art from paint chips that can be deemed worthy of domestic display. 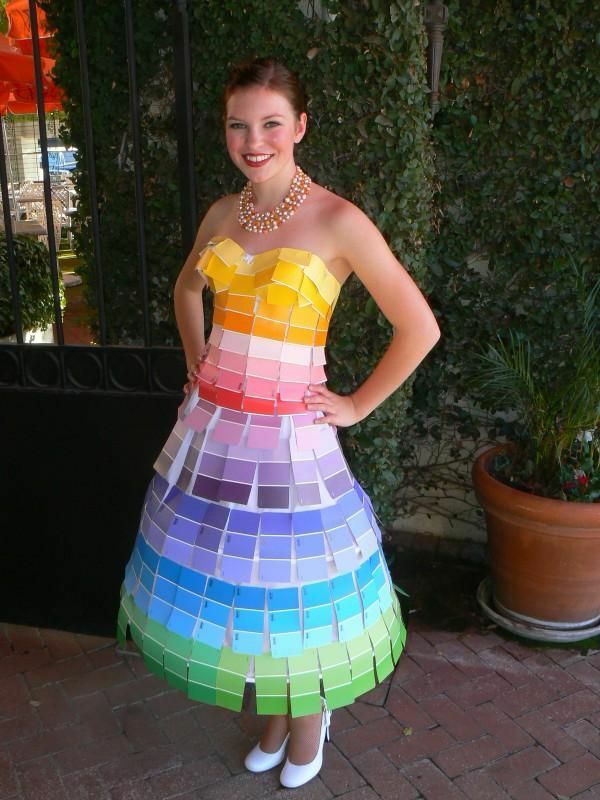 With just a bit of tracing and cutting, paint samples can be strung into streamers that you’ll use every year. Especially if using holiday figures to be hung during special events, or stars and moons to hang in a child’s room. For younger children, you can use disks or shapes cut from paint chips to create colorful mobiles. Going beyond traditional artwork paint samples can be incorporated into functional art that you can wear; fashioning jewelry and gowns. 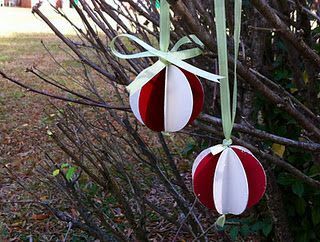 Other examples of functional paint chip art come as ornaments, baubles, and other festive decor, including seasonal wreaths. 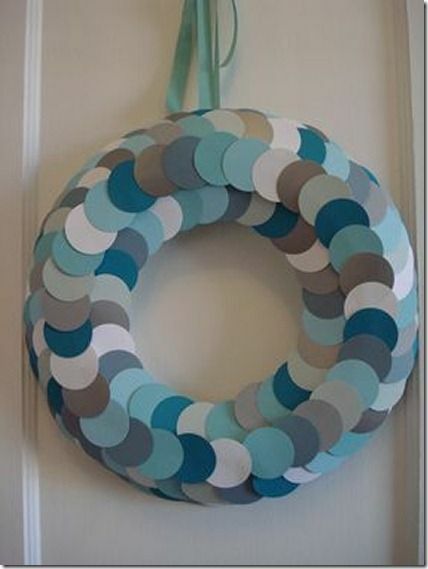 Wreath can be made simply by layering paint chips in a ring, though if you wish to make them holiday-specific you can cut the chips first. Maple or holly leaves, for example, or hearts for Valentine’s Day, which could additionally incorporate used Valentine’s cards alongside the paint samples.